Dog Snuggies are now available! How do you keep your dogs warm when they are feeling a chill? Now there is Snuggie Dog! The little blanket with sleeves designed to fit your dog just like the the Snuggie you love. 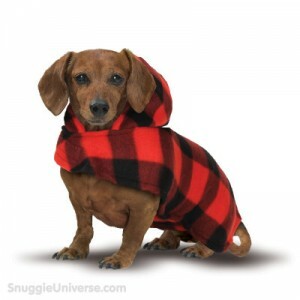 Snuggie Dog comes in two colors and four sizes. Click on the link below to see the Snuggies for Dogs in action.